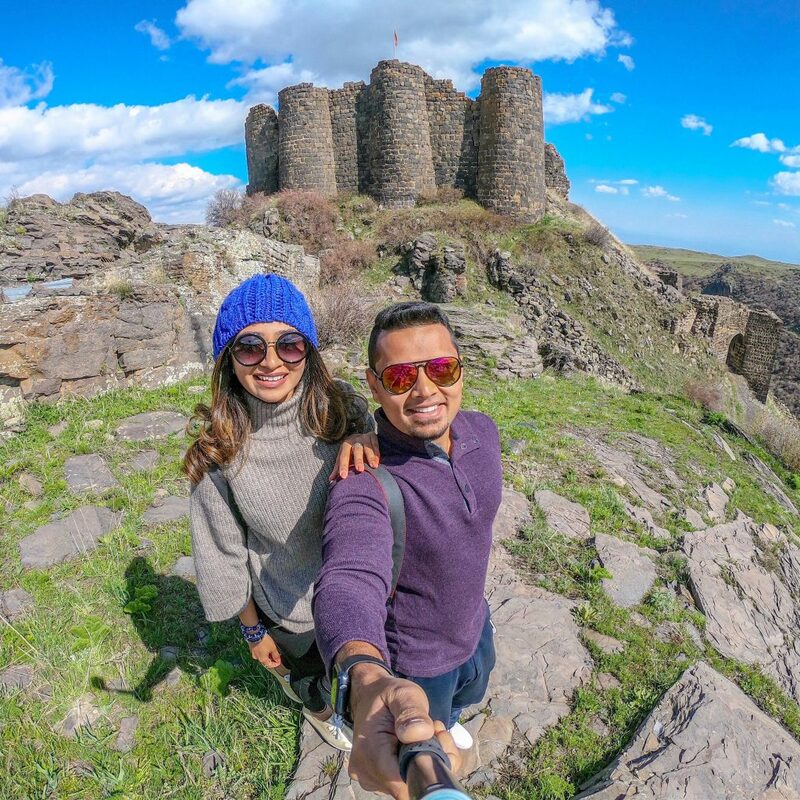 Armenia is your quintessential travel destination- beautiful landscapes, contrasting topography, changing microclimates, did I also mention extremely budget friendly? Straddling between Asia & Europe, Armenia is considered one of the oldest countries in the world with recorded history dating back 3500 years. 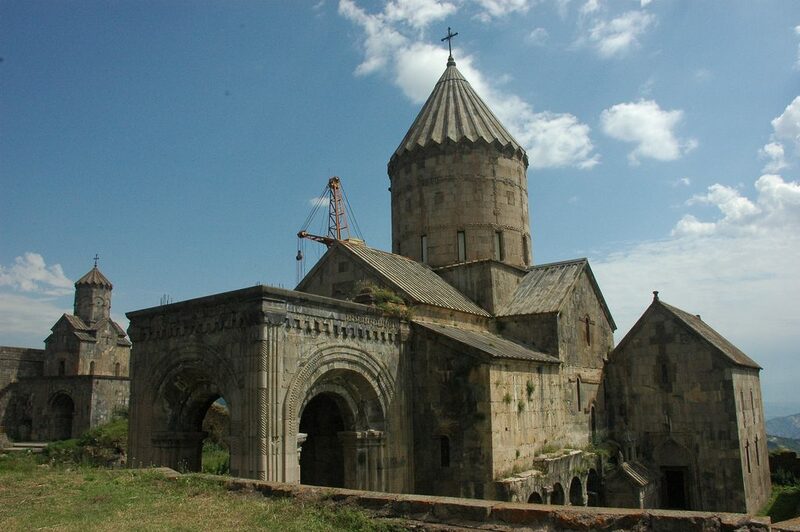 To love Armenia means to love its love for monasteries. 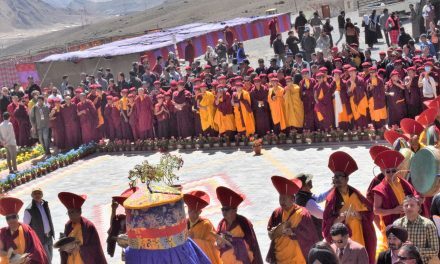 They are in abundance and the locals would urge you to visit them all, what with all the fascinating folklores associated to each of one of them. While visiting Armenia, it is a good option to base yourself in Yerevan and do day trips to the various attractions spread around the country. Also, most hotels are located within Yerevan, with lesser options as you venture deep into its countryside. 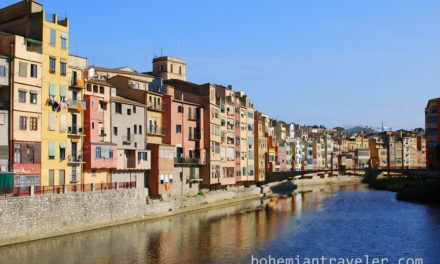 Something that will definitely change in the near future, thanks to the influx of tourists. 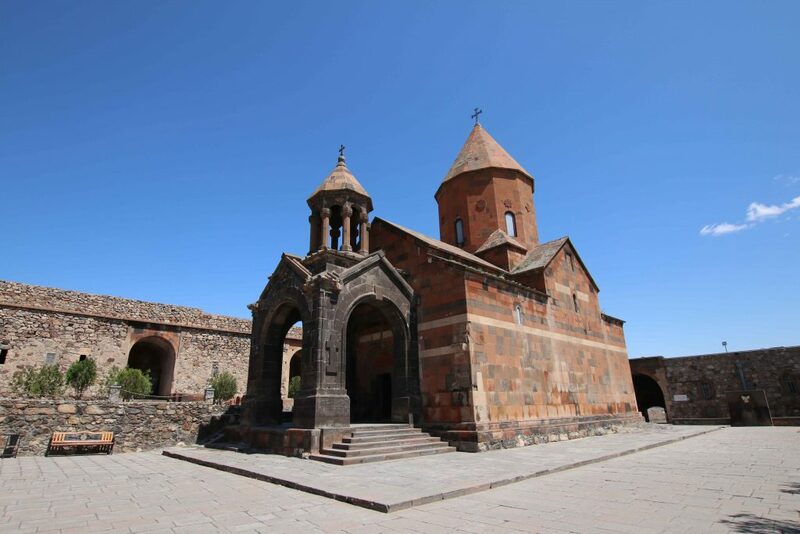 A prison in the times of Christian persecution, Khor Virap is now the most visited sites in Armenia. Khor Virap casts a grand silhouette against the backdrop of the magnificent peak of Mt. Ararat. Did you know that Mt. Ararat, the country’s national monument is not located in Armenia but in Eastern Turkey? Despite this fact, the symbol of Mt.Ararat is widely used and Armenians consider this mountain a savior for protecting the country from a strong earthquake in the past. It is also believed that the biblical reference to Ararat where Noah’s ark landed is here. The monastery is 45 minutes by road from Yerevan and there are no direct buses. The best and the cheapest way is to hop on a Marshrutka/mini-bus from Sasuntsi David Metro Station and get down at Pokr Vedi and walk up to the monastery. You can also find taxis at Pokr Vedi to do the short trip to the monastery. When in Armenia, it is a must to visit its highest point. The mountain route of Mt. 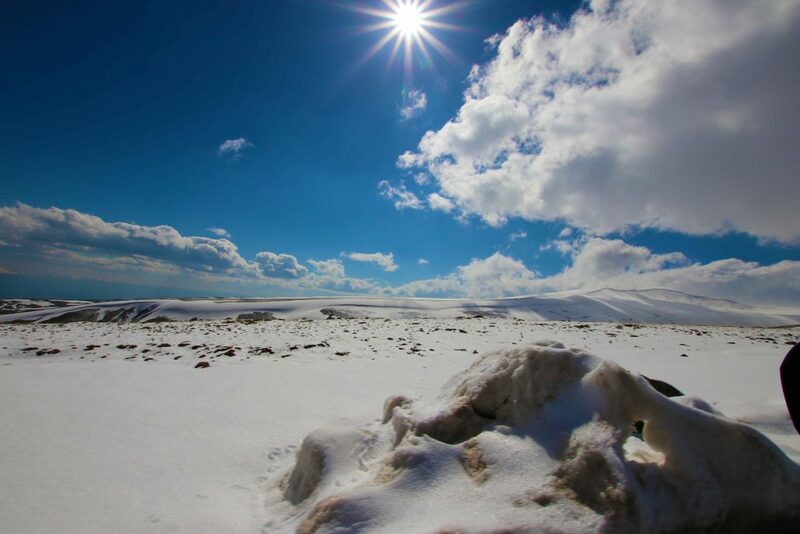 Aragats is home to one of the most fascinating legends. There is an upward slope along this route, where a car can climb on its own without even a driver. That’s not all! The stream along this route flows upwards defying the fundamentals of gravity. You can find various videos on this phenomenon on the internet. Snow covers the peak almost all year round and it only takes about an hour from the town of Agarak to reach the peak by road. The roads are winding and extremely steep with plenty of hairpin curves. This very road is considered most dangerous during winters with frequent avalanches and temperatures dropping to -15 degrees Celsius. 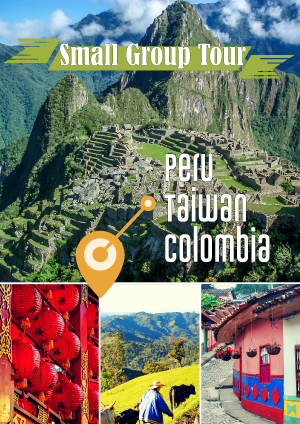 So it is best to hire a local guide to take you there. Lake Kari, a high altitude mountain lake here is a favorite campsite for alpinists climbing Aragats. Located on the slopes of Mt. Aragats, 50 km from Yerevan, Amberd fortress served as an outpost in the 7th century until it was invaded and destroyed by the Persians and later the Mongols with only its ruins standing tall, reflecting its turbulent past. The monastery near the fortress is well preserved. A single lane mountain road leads to the fortress making it impossible to visit during winter. 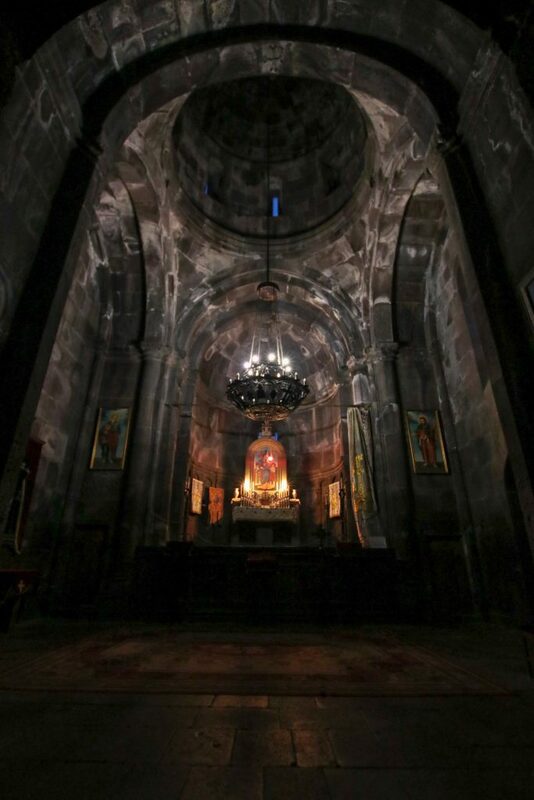 Geghard Monastery predates Armenia’s conversion to Christianity. Dedicated to the sun god Helios, this pagan temple is carved out of the mountain and has a freshwater spring within. No matter how near or far you stand from religion or religious beliefs, you will definitely feel an energy in the air here. 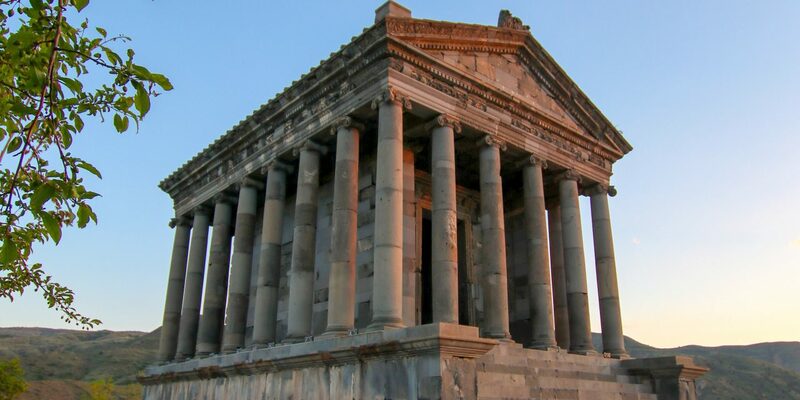 Garni is a Greek temple dedicated to the sun goddess Mythra. This temple still stands tall after years of disrepair and calamities. Its construction follows the Pythagorean and Platonic theories and the magnificence of the structure speaks volumes of people who built it. 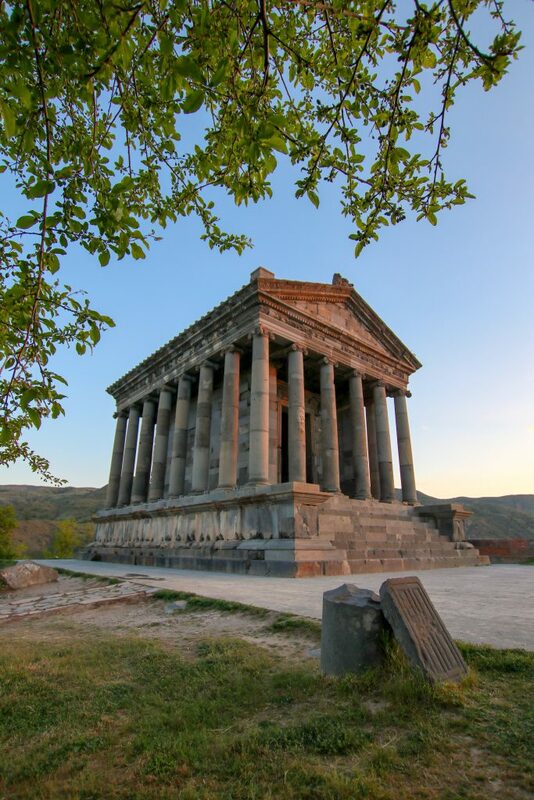 Located 30 km from Yerevan, there are frequent minibusses from the city center to Garni. The cheapest way to reach here is to take a minibus to Geghard and then a taxi to Garni which is just 10 km away. Lake Sevan is one of the largest high-altitude freshwater lakes in the world. It has 30 rivers pouring into it and only 1 flowing out. Cooler and windier than other parts of Armenia, the best time to visit Lake Sevan is July & August. There are many hotels along the lake offering spectacular views. 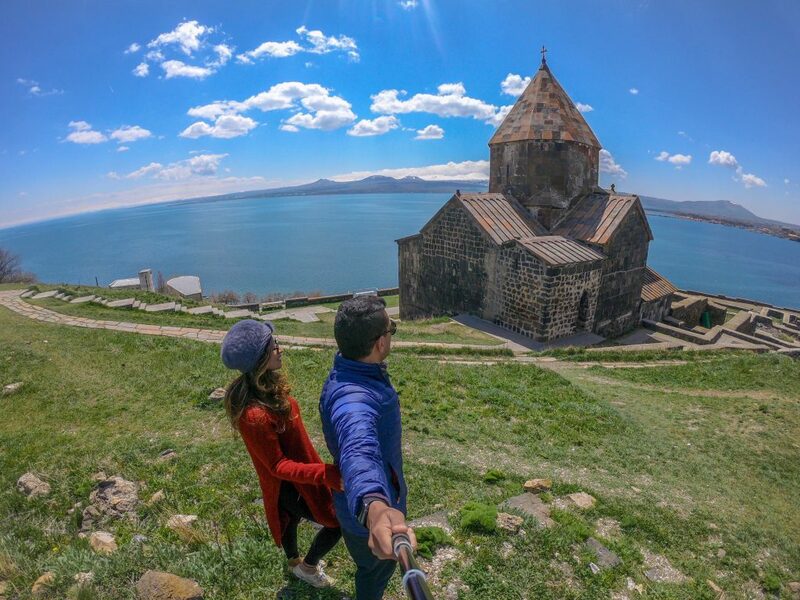 Located on the northwestern shore of Lake Seven, Sevanavank Monastery offers spectacular panoramic views of the lake. There are benches outside the monastery to sit and take in the view. Lake Sevan is located 67 km away from Yerevan and is well connected by public transport. There are minibusses or Marshrutka leaving the North bus station every 20 minutes. These mini-buses will take you to the town of Sevan. From there, you can hire a taxi to the lake. The Wings of Tatev, the world’s longest non-stop reversible aerial tramway connects the village of Halidzor to Tatev monastery. Legend has it that “Tatev” should be interpreted as “Let the holy spirit give me wings”. One of the newest monasteries, it was completed by the 18th century. The farthest attraction from Yerevan, it is located 252 km from the capital. There are daily mini-buses to Gori. From Gori, you can take a taxi to the monastery. The less stressful option would be to book a day tour from Yerevan.